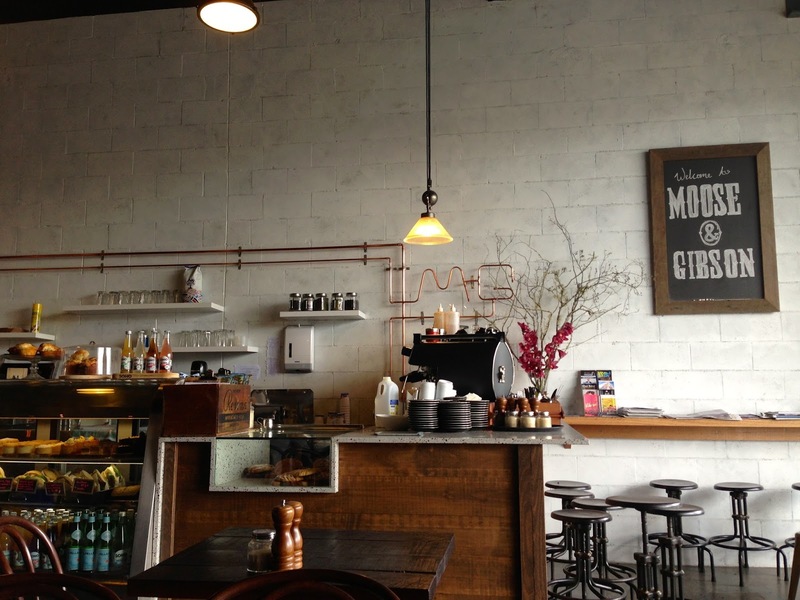 Moose and Gibson, located down from the Gabba, is a small quirky cafe with an extremely chilled and relaxed atmosphere. It is the perfect place to slowly sip on your cup of coffee whilst browsing through the newspaper, or to go with a group of friends to catch up before the day begins. As I have mentioned in previous blogs, brunch is my favourite meal of the day and there is nothing more exciting than finding a place that does breakfast type lunch dishes with a twist. Moose and Gibson is definitely the perfect hotspot for this. With no qualms about growing some winter fat, I ordered the Potato & 3 Cheese Croquettes which is crumbed and lightly fried, with tomato chutney and cucumber salad on the side. 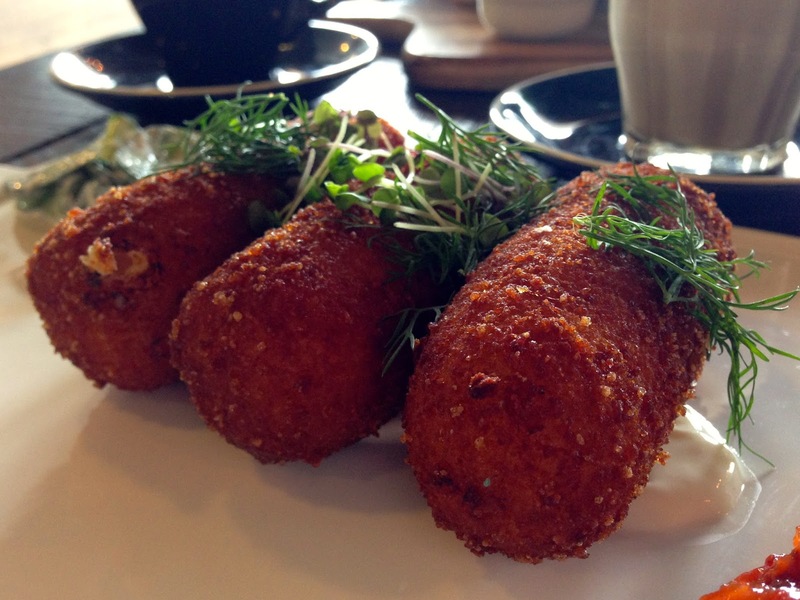 I tend to find croquettes quite bland after a few bites, but these potato and cheese croquettes were however, absolutely exquisite with the freshness of the cucumber salad. The portioning looks quite small but there is just enough to fill you up and long for more. The highlight of Moose and Gibson has to be the Potted Eggs. 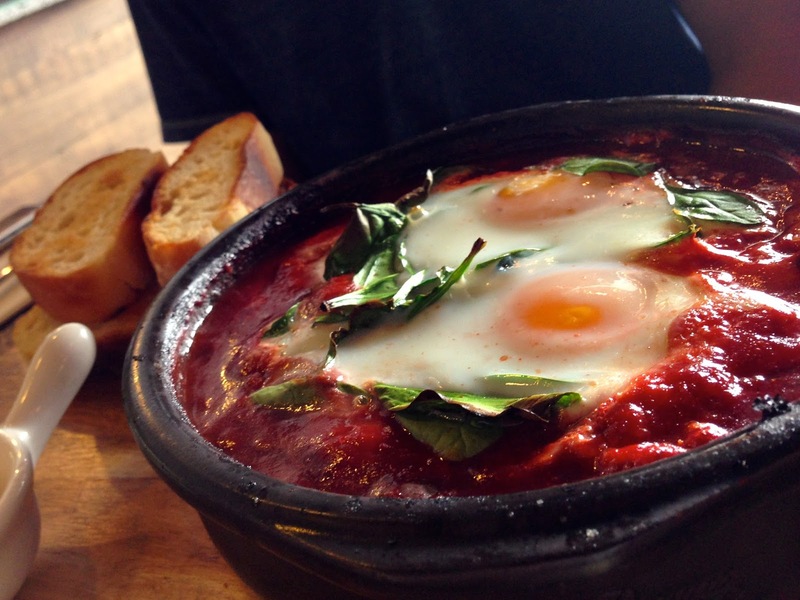 Filled with chorizos, olives, spinach and baked eggs in a tomato like paste, this dish get the palate salivating. The baked eggs are gooey and are so delectable in the tomato like paste. As well as this, the chorizo and olives mix so splendidly together, adding a burst of flavour and texture. Add into the mix, the turkish bread smothered in garlic butter, and you’ve got yourself a swoon worthy dish. 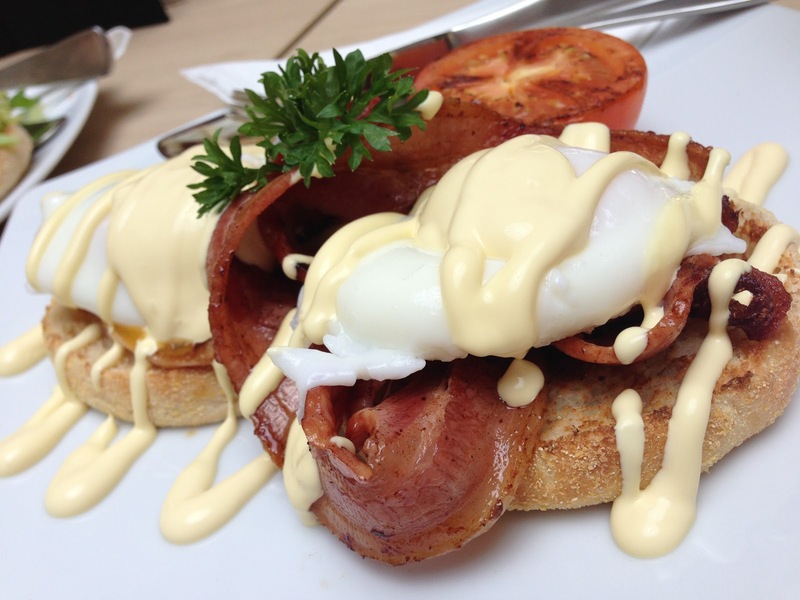 Moose and Gibson offers an all day breakfast and lunch starting from 11:30pm. 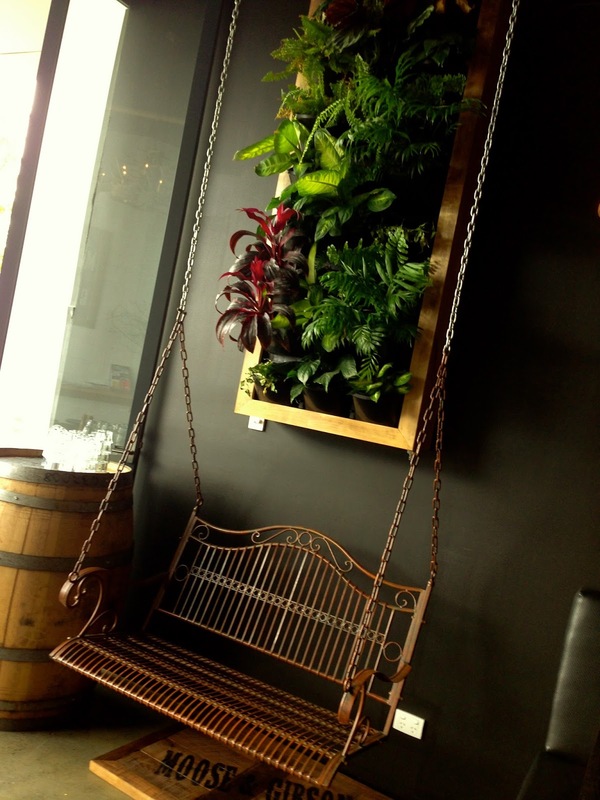 With their quirky decor, statement antler chandelier and vertical garden, it is definitely worth checking out. I would definitely recommend coming and trying their Potted Eggs as I can not get enough of it. Brunch, on any given day of the week is probably the most exciting meal. Being able to linger between a late breakfast and an early lunch, it is the perfect opportunity to indulge in something that may be a little bit too cheeky for breakfast but does not constitute as a wholesome lunch. Little Larder, which has been relentlessly raved about, is the perfect hotspot to settle down with a coffee, meal and watch as the morning slowly passes by. 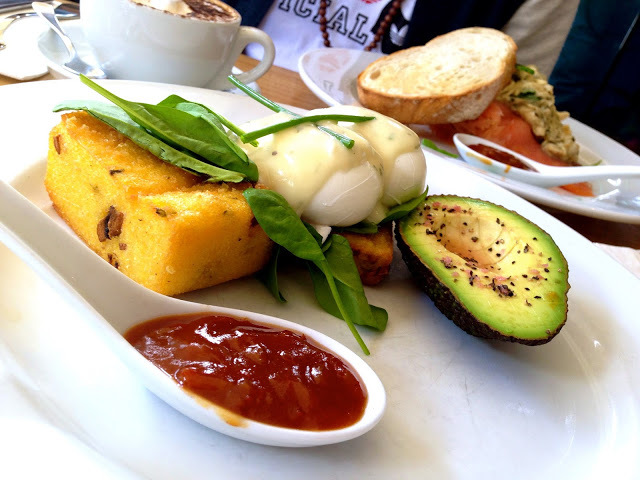 The crispy polenta with poached eggs, spinach, avocado and dill mayo is probably my favourite meal at Little Larder, opting for it whenever I feel like a less greasy start to the day. The polenta is crispy on the outside but starts to melt in your mouth with the first bite. It is perfect paired with a touch of avocado and a dab of jam. 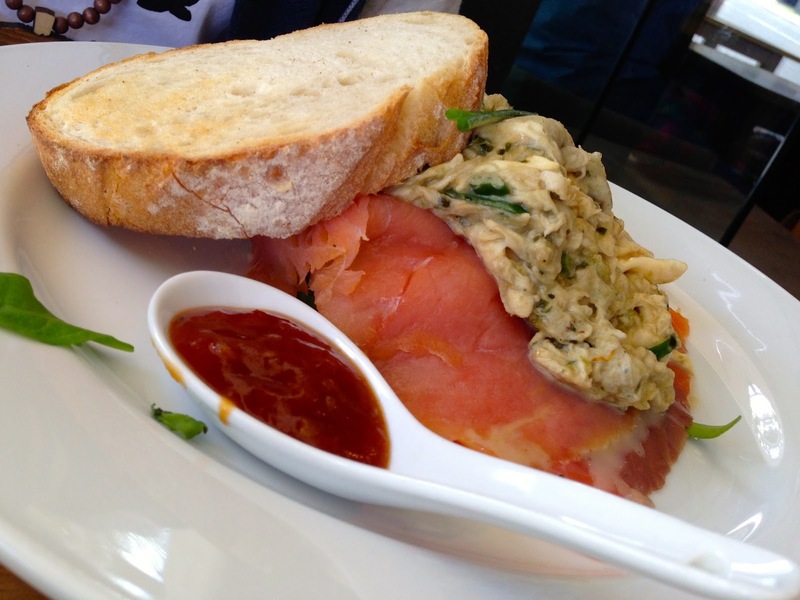 The pesto scrambled eggs with smoked salmon and spinach is just as delectable. I tend to find scrambled eggs to taste quite bland and monotonous after a few bites but with the pesto infused in it, it is quite flavoursome, especially with the smoked salmon. 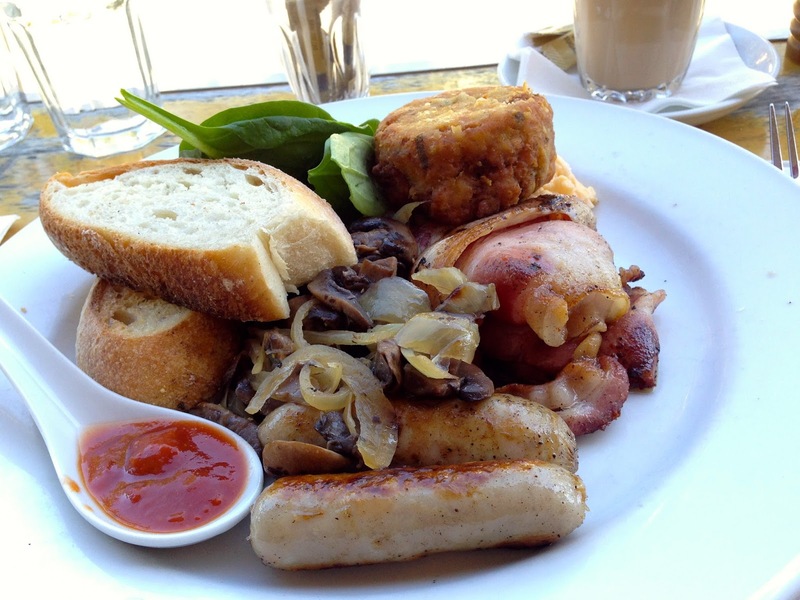 The larder plate is definitely a meal reserved for the morning after a big night out. With eggs, bacon, sausages, mushroom, onions, potato rosti, tomato and sourdough it is the quintessential meal to grease up the appetite and fill you up until the afternoon. 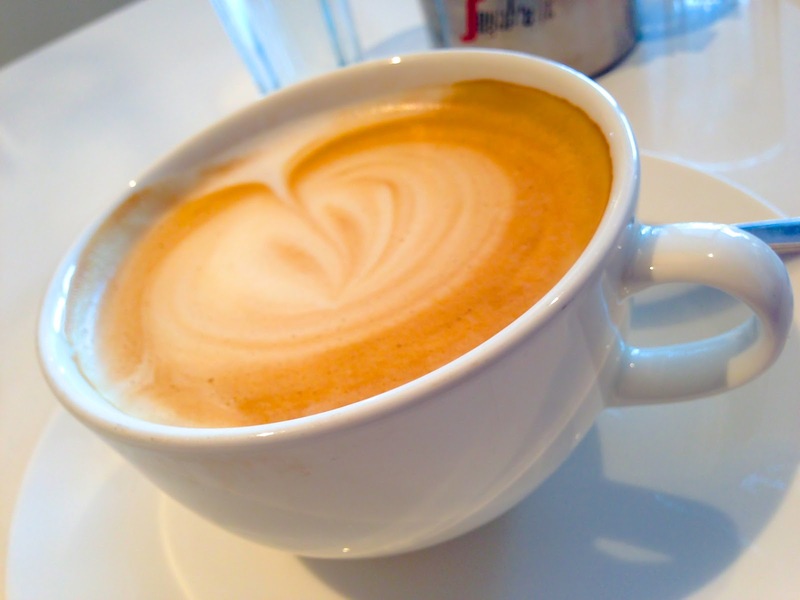 On top of their delectable menu, Little Larder offers delicious aromatic coffee. If you haven’t already been to this breakfast haven, I would definitely recommend a visit. However, be warned that it can get quite busy on the weekend due to its popularity. 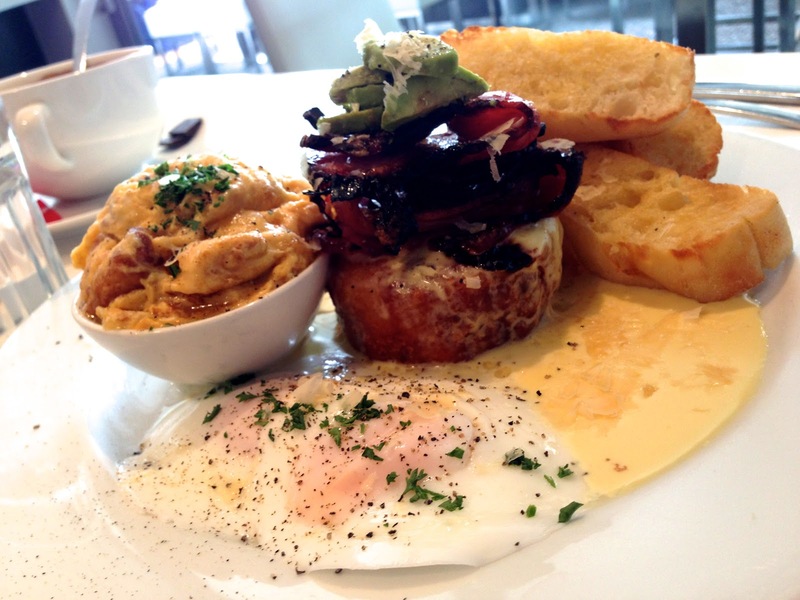 Flute Fine Food in Coorparoo is a beautiful restaurant that offers a modern twist on the classic breakfast. Situated in an intersection surrounded by other restaurant, Flute stands out with its earthy but modern toned decor. Offering an inside and outside dining space, both with spacious comfortable seating, Flute creates a relaxed atmosphere to sit back and enjoy breakfast slowly. With a penchant for coffee, J and I both ordered a latte that came in a bowl sized mug. 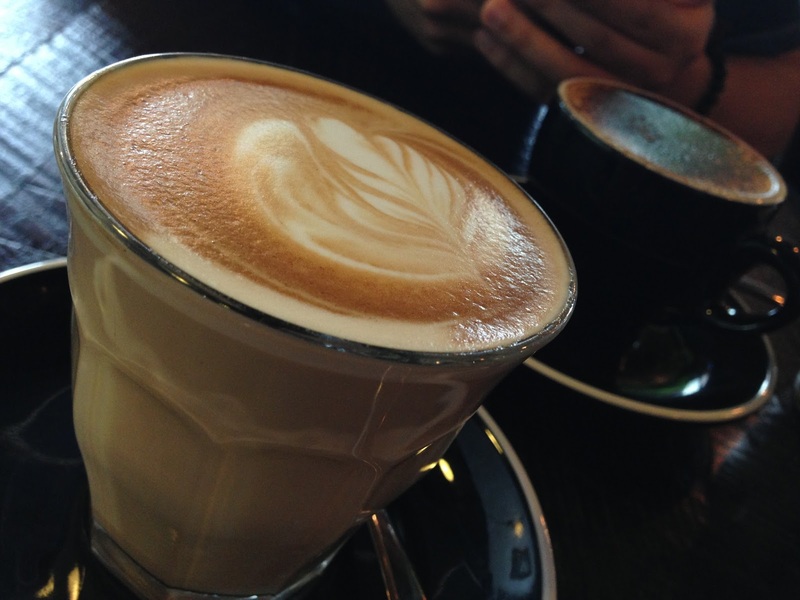 The latte was aromatic and smooth which was a pleasant surprise as we have often found coffees in oversized mugs to be either on the watery or milky side. 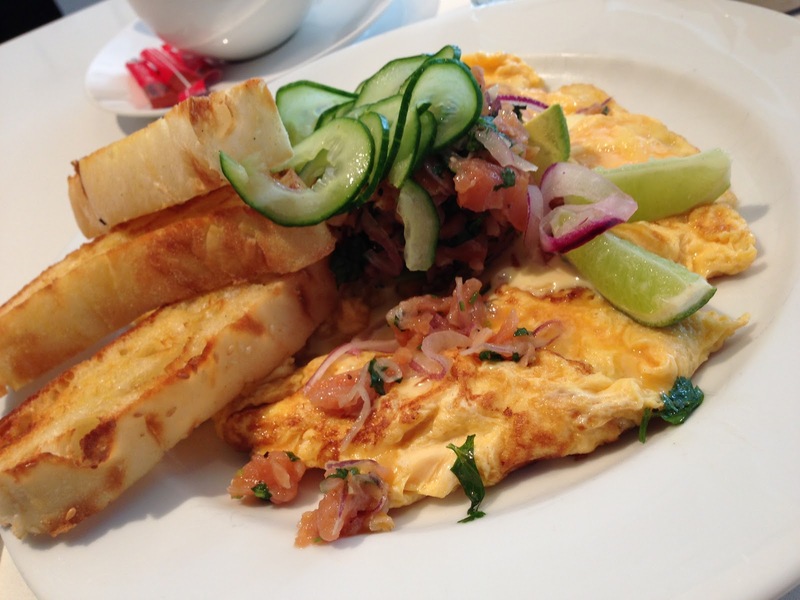 The smoked salmon scrambled eggs with a dash of lime was absolutely exquisite. The scrambled eggs was soft and gooey in the middle while still firm on the outside. The smoked salmon, which in some cases can be quite overpowering in flavour and smell, was a delicious blend with the accompaniment of the onions and lime. Flute’s signature breakfast consists of roasted bacon, poached or scrambled eggs (in which case we got both), potato and feta cake and avocado, complemented by a white wine sauce. The potato and feta cake with a drizzle of the white wine sauce was absolutely amazing and very palatable. The roast bacon on the other hand was quite mediocre but it did complement the scramble and poached eggs. Although the breakfast menu at Flute is quite limited, the selection that they do have is impeccable in taste and is always served in a big hearty portion. This is the perfect restaurant for a lazy slow and relaxed morning. With the opening of the new Westfield Carindale, a range of new restaurants and cafes have popped up. A particular highlight out of these new stores would have to be Crema Espresso. Already having a few stores open on the Gold Coast, it was exciting to see them bring their delectable menu to Brisbane. The menu from Crema Espresso offers a large variety which includes all day breakfast, steaks, burgers, salads and lights snacks such as bruschetta, dips and banana bread. A particular favourite meal of mine at this cafe would have to be the Eggs Benedict where they offer it with either bacon or salmon. The bacon is extra crispy on the outside but soft in the middle, which I find to be the perfect combination. Added with poached eggs, muffins and hollandaise sauce, you’ve got yourself a delicious winner. Their wagyu beef burger was also undeniably amazing. The wagyu beef was tender and bursting with flavour. 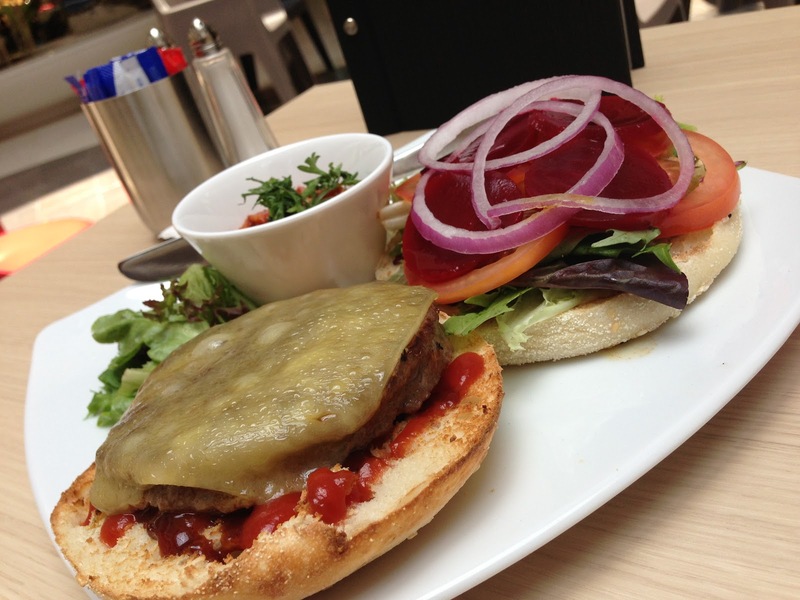 The added sauce, tomato, lettuce and beetroot added a fresh mouthwatering bite. 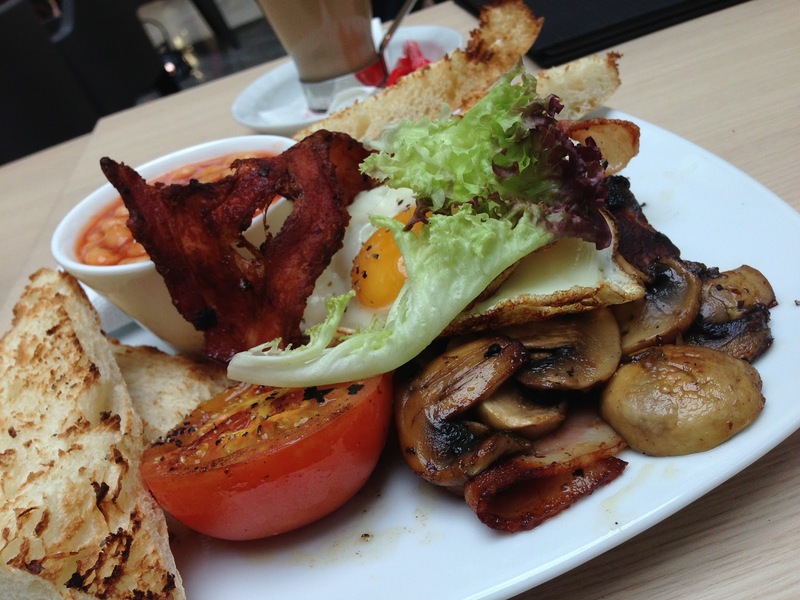 If you’re after a typical big breakfast, the full breakfast at Crema Espresso which includes bacon, eggs, turkish bread, tomato, mushroom, sausages and baked beans is a sure way to keep your appetite up and running. 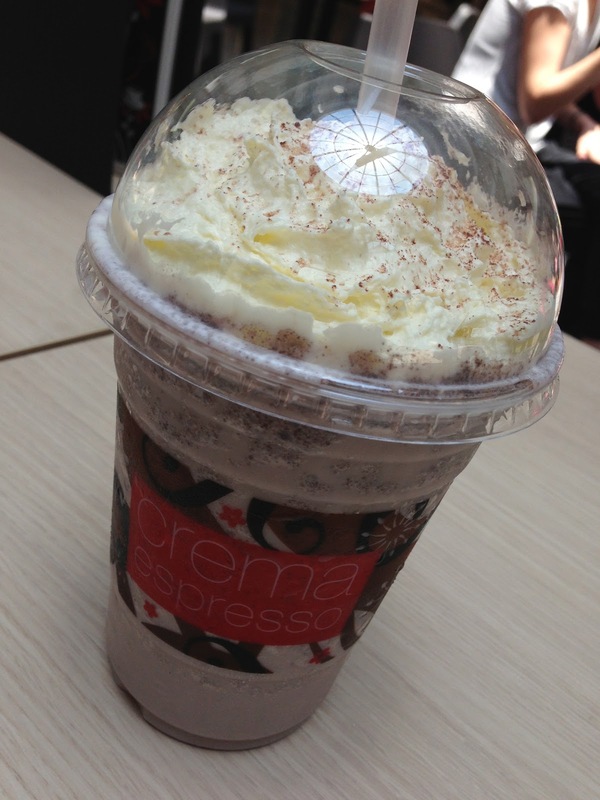 Crema Espresso doesn’t just offer a delectable range of meals, all the drinks on their menu, including coffees and frappuccinos are absolutely enticing. Their cookies and cream frappuccino in particular was refreshing and filled with an abundance of flavours. I highly recommend this cafe if you’re out shopping at Westfield Carindale and need a little pick me up.